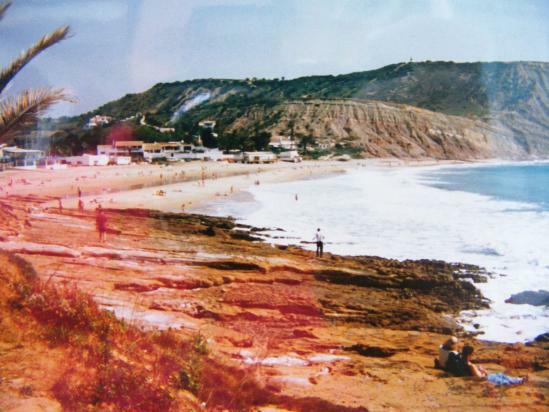 I have been visiting Praia da Luz in Western Algarve for around the past 25 years – my first visit was with my parents one Christmas. I had just finished a long term relationship and had to move back home to live with them (financial necessity). They had booked a holiday to Madeira for the two of them and then said I could tag along ... my Mum discovered that Madeira is quite hilly so they contacted the holiday company to change locations. The only option that was available at short notice was for us to go to the Pink Palace (name changed) in Praia da Luz. I am so glad that I listened to that voice and decided to go on the holiday that would change my entire life for the better – it was a leap in the dark. 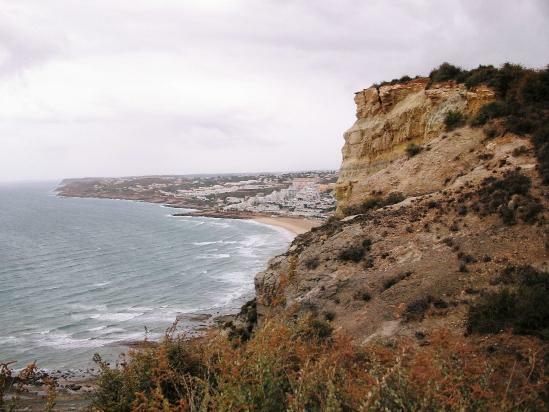 My parents had previously been to PT but had never been to Luz, Dad hired a car and we set off from Faro airport, along the EN125 (at the time the most dangerous road in Europe) towards our final destination. The drive was fairly uneventful, once we had negotiated the tricky bit getting out of Faro and go onto the EN125 it was pretty much a straight line to Luz. On our arrival we were greeted at reception by a very nice man and shown to our rooms. Being in a room of my own was a total novelty – I had never been on holiday abroad before and had my own bedroom (complete with en-suite) – pure luxury! The things that stick in my mind from this first time are when the hotel owner appeared at my bedroom door at 8.00am on Christmas morning dressed as Santa Claus and handed me a bottle of Port. The totally lovely staff who were so friendly and helpful and on hand 24 hours a day – and (I know – cliché!) the gorgeous waiter / barman who caught my eye. 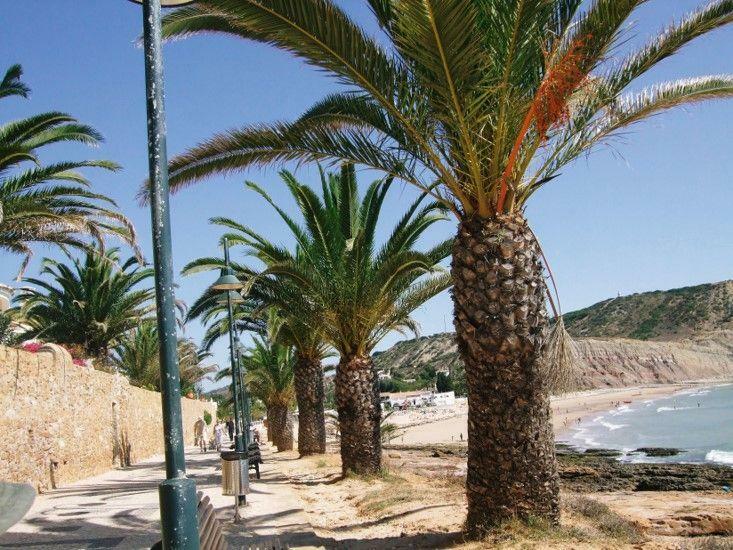 Praia da Luz was a fishing village which turned into a small tourist destination – when I first went there the supermarkets were tiny, the streets were all cobbled, there were a few restaurants, lots of scrubland, a couple of high rise buildings and an air of sleepiness. I think that the first few years I spent in Luz were at the cusp of changes which some might see as progress and some might see as too much building work. I think I was so lucky to be there at the time I was – I fell in love ... but was it with the gorgeous waiter or was it something else? The hotel owner took us (Dad, Mum, me) out for a trip in his van to show us some of the area he loved. I don’t know why he chose to take us out of all the hotel guests but it was this trip that and the waiter that were the main catalyst for my life change .... We drove to the top of the viewpoint, saw a little owl sat on a telephone wire at dusk, walked across a golf course and a trainline to the beach and looked at the salt pans. Author Bio – Elizabeth Norris is a middle 50s married English woman, born in Leicestershire. As an adult she mostly spent her holidays in the UK, until the fateful holiday that she spent at the Pink Palace in Praia da Luz at Christmas 1992 – she knew her life would change after that holiday she just had no idea whether the outcome would be for the better or worse!